We are very pleased to announce the appointment of the new Scientific Committee (SC) of the World Data System for a three-year period commencing on 1 July 2015. 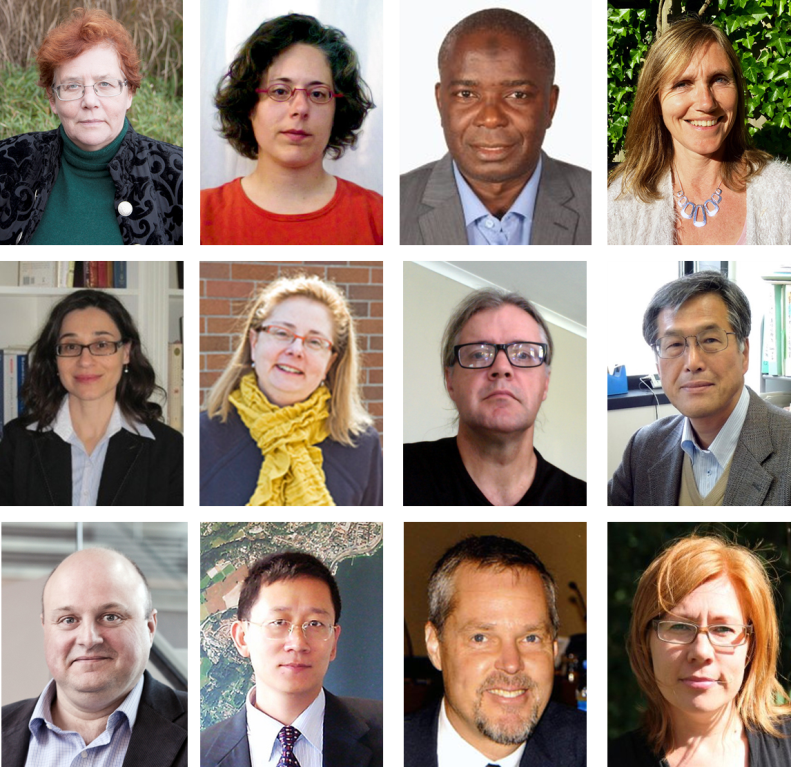 Chosen by the Executive Board of the International Council for Science (ICSU), the SC includes eight new members, taking into account that at least one-third of the Committee are Directors of WDS Member Organizations. To foster geographical balance, the Executive Board also approved that a vacant thirteenth seat be made available, to be filled by someone from the Latin America and Caribbean region at a later date. A full list of Committee members, along with their bios can be found on the Scientific Committee page of the WDS website. Sandy Harrison—who officially starts her first term after being appointed in May 2014—has agreed to be the new Chair of the Scientific Committee until 2017. Sandy is a Professor of Palaeoclimates and Biogeochemical Cycles, and takes over the role of Chair from Professor Bernard Minster, whose term has been exceptionally extended for one additional face-to-face meeting to enable a formal handover of the leadership. In this regard, ICSU has introduced a stagger between the appointment of the SC Chair and members to ensure continuity. We sincerely thank all of the outgoing Committee members for their dedication to ICSU-WDS, especially to Michael Diepenbroek, Françoise Genova, Ruth Neilan, and Lesley Rickards, who were on the very first Scientific Committee and have been involved with WDS for the past six years. WDS also released a Position Statement for the side-event Science and the Road to Transformation: Opportunities in the post-2015 global climate regime organized by the International Council for Science (ICSU) ahead of the conference. Photos of the two events are available via the ICSU-WDS G+ photo album and all videos have been posted on the ICSU-WDS YouTube channel. 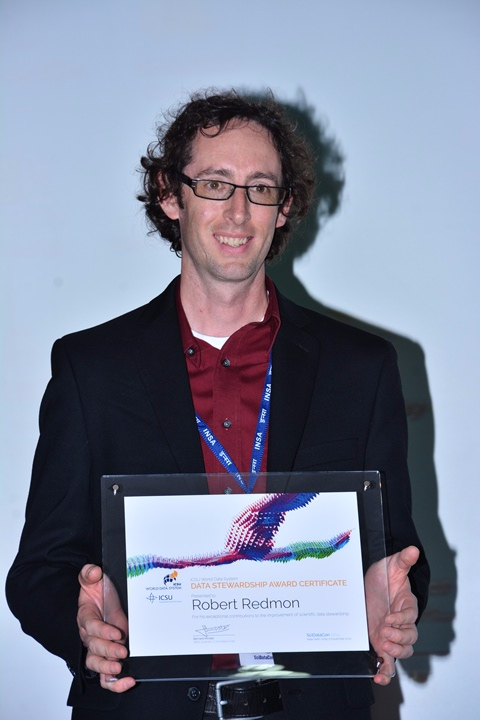 The Call for Nominations for the 2015 WDS Data Stewardship Award is now open. This annual prize is directed towards early career researchers, and the 2015 (and 2016) Award will be presented at SciDataCon 2016. The winner of the 2015 Award will follow in the footsteps of Dr Robert Redmon (World Data Service for Geophysics; WDS Regular Member) and Dr Xiaogang Ma (Rensselaer Polytechnic Institute), who received the inaugural Data Stewardship Awards for 2013 and 2014 during a prize-giving ceremony at SciDataCon 2014. The deadline for nominations is Monday, 07 September 2015. Note: Eligible nominees from the previous Call are not excluded from being nominated again. Online Registration is open until 30 September 2015, and Accommodation Reservation until 21 September 2015, for the WDS co-hosted Second International Polar Data Forum. An Early Bird Registration fee of $200 CDN (Student/Early Career Researcher: $100 CDN) is available until 31 August 2015, after which the fee is $250 CDN (Student/Early Career Researcher: $150 CDN). Rooms have been block-booked at the Delta Waterloo for $149 CDN per night. The deadline for Abstract Submissions for the SCOSTEP–WDS VarSITI Workshop has been extended until 21 August 2015. However, a provisional programme and more details on the VarSITI Data Analysis Session can be found on the Workshop website. Note that Registration for the Workshop is free of charge, and should be completed by 15 September 2015 using the following Form. Moreover, a limited number of non-smoking, single rooms have been blocked at the Hotel Mets Kokubunji. To reserve one of these rooms (on a first-come, first-served basis), please submit this Reservation Form to the below contact address by 31 August 2015. 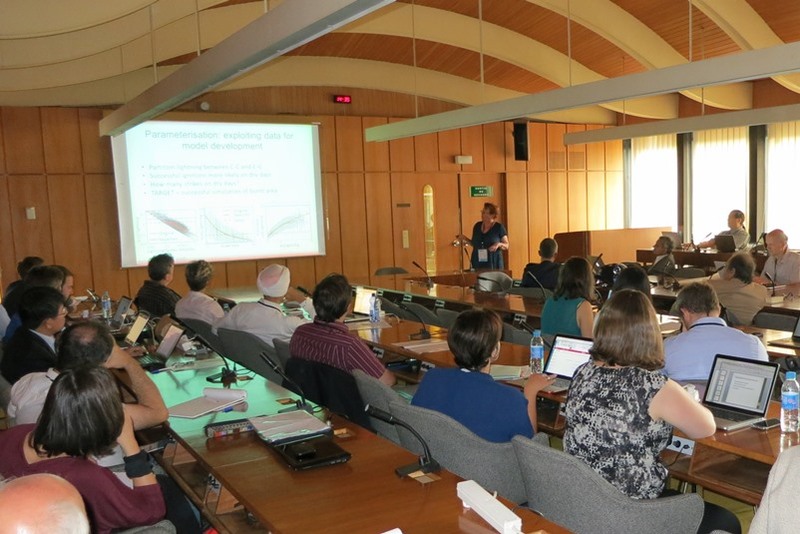 The Scientific Committee on Solar–Terrestrial Physics (SCOSTEP) is an Interdisciplinary Body of ICSU promoting a series of international research programmes on solar–terrestrial connections. SCOSTEP's current Variability of the Sun and Its Terrestrial Impact (VarSITI) programme will strive for international collaboration in data analysis, modelling, and theory to understand how solar variability affects the Earth’s environment in a vast range of time scale, from seconds to billions of years. Sharing links between published literature and datasets is crucial to achieving the full potential of research data publishing. The RDA–WDS Data Publishing Services Working Group and OpenAIRE have coordinated and implemented efforts towards realizing and operating an open and universal data–literature interlinking service (DLI Service); namely, an open, freely accessible, web based service that enables its users to identify datasets that are associated with a given article, and vice versa. The service is the result of an open collaboration between major stakeholders in the field of data publishing. It provides access to a graph of dataset–literature and dataset–dataset links collected from a variety of major data centres, publishers, and research organizations. On the basis of feedback from content providers and consumers, the service will also enable the incremental refinement of an interlinking data model and exchange format, towards shaping up a universal, cross-platform, cross-discipline solution for sharing dataset–literature links. More information available on this WDS Blog post. ISRIC – World Soil Information (WDS Regular Member) and its partners have announced the release of new, freely accessible soil information maps for Africa with a resolution of 250 m; enabling users to zoom in on an African village to see whether the soil is clay- or sand-based, or how much nutrients or organic carbon it contains. 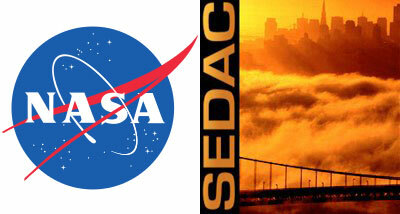 A new data release by NASA Socioeconomic Data and Applications Center (WDS Regular Member) offers insights into the extent of global human exposure to fine particulate matter (PM2.5) over more than a decade. It features improved accuracy, a longer time span, and higher spatial resolution than the previous version. The dataset consists of a series of global grids representing three-year running averages, from 1998–2012, derived from measurements of Aerosol Optical Depth from three NASA instruments: Moderate Resolution Imaging Spectroradiometer, Multi-angle Imaging Spectroradiometer, and Sea-viewing Wide Field-of-view Sensor. These global grids of estimated PM2.5 surface concentrations are useful for health and environmental research, and have already served as a valuable input to the World Health Organization global burden of disease study. 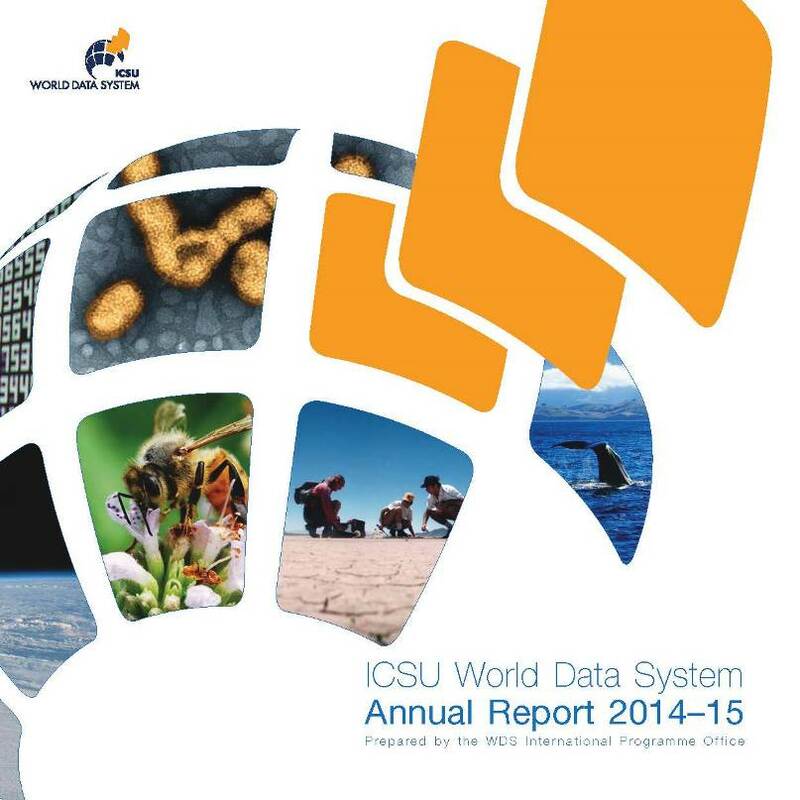 The World Data System Annual Report prepared by the International Programme Office and covering fiscal year 2014 (1 April 2014 to 31 March 2015) is available for download (PDF). 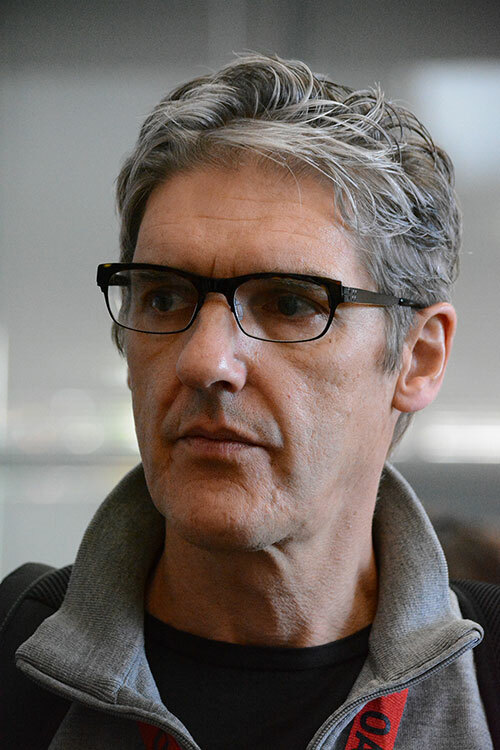 On 23 July, Dr Herbert Van de Sompel (Scientist and Team Leader, Digital Library Research and Prototyping Team, Los Alamos National Laboratory) presented WDS Webinar #6: Web-Centric Solutions for Web-Based Scholarship on the perspectives gained over the past fifteen years he has spent tackling information interoperability problems for web-based scholarship. In this talk, he illustrated the shift from a repository- to a web-centric approach by means of design patterns from various interoperability efforts, including Open Annotation, Memento, ResourceSync, Signposting the Scholarly Web, and Robust Links. A recording of Webinar #6 and the slides presented are available through its webpage. Dr John Helly presented the fifth talk in WDS' Webinar series on 10 June 2015. Entitled BIGDATA, littledata and EvErYtHiNg in Between, John explored the requirements on scientific data management not only resulting from research methods but also those evolving from scholarly data publication. The technologies employed to satisfy these requirements have implications for any reasoned implementation of a scientific data management strategy. The recording and presented slides from Webinar #5 can be found here. The International Journal of Geo-Information, an open access journal of the International Society for Photogrammetry and Remote Sensing (ISPRS)—a Scientific Union of ICSU—has issued a Call for Papers for a special issue on 'Research Data Management'. Original research contributions are invited covering new trends and developments related to data management in different research fields and organizations. All types of data intensive science will be considered, as well as aspects of data handling and processing that concern the conduct of research. The deadline for manuscript submission is 30 November 2015, and further information can be found here. Co-located with the Sixth Plenary of the Research Data Alliance (RDA; see below), the new WDS-SC will convene in Paris for its inaugural Meeting. The theme of RDA's 6th Plenary Meeting will be Enterprise Engagement with a focus on Research Data for Climate Change, leveraging on the UN Climate Change Conference (COP21) to be held in Paris in December 2015. As a part of this focus, Cap Digital and RDA have created a special challenge designed to connect climate change-related datasets with startups, small and medium-sized enterprises, and larger organizations with practical applications for these data. The Plenary programme will contain breakout sessions by the joint RDA–WDS Interest Groups and Working Groups on Publishing Data and Certification.